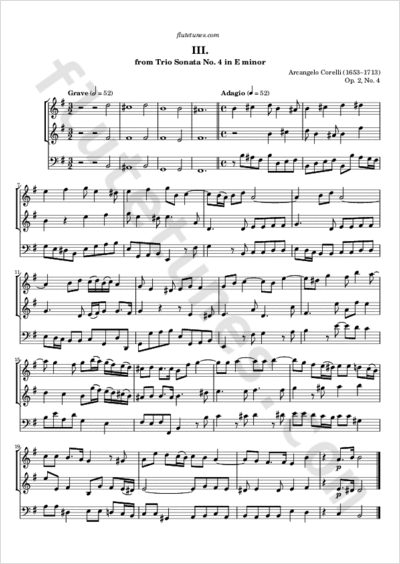 Today we propose the third movement of Italian Baroque composer Arcangelo Corelli's Trio Sonata Op. 2 No. 4 in E minor, published in 1685. This movement features a four-bar introductory Grave (the slowest tempo indication), which soon gives way to an Adagio.